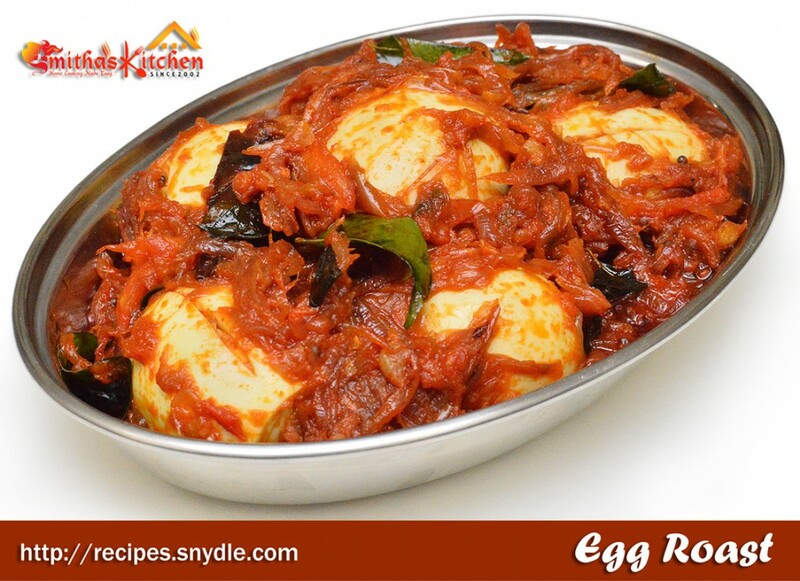 A typical Kerala style dish using boiled eggs roasted in spiced and thick onion and tomato gravy. It’s a good accompaniment with appam, chappati etc. Hard boil all the eggs and keep aside. While boiling eggs, add 1 tsp of salt into the water to prevent breaking the eggs in the hot water. Heat oil in a pan and splutter mustard seeds. Add curry leaves, dry red chilly and saute for few seconds. Add ginger, garlic and saute well until the raw aroma disappears. Add onion, little salt and saute well on medium flame until the onion turns light brown color. In a small bowl, mix the Kashmiri red chilly power and little oil together and add into the sautéed onion. This helps retaining the red color to the dish even after completing the entire cooking process. Otherwise it may turn into bit darker color. Add turmeric powder, coriander powder, garam masala powder, tomato, salt and combine well. Cook on medium flame until the tomato mashes well and get completely join with the onion and masalas. Remove shells from the eggs and make small slits on both sides of each egg. Add them into the cooked masalas and combine well gently. Ensure the masalas have gone inside the slits of each egg. Cook for few minutes and switch off the flame. 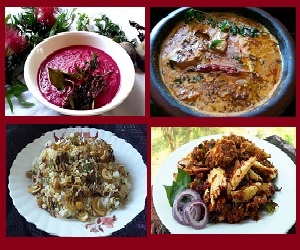 Serve with appam, chappati etc.